Home » Info » Dogs - Welcome! At the "nymphe strandhotel & apartments" everyone feels comfortable. 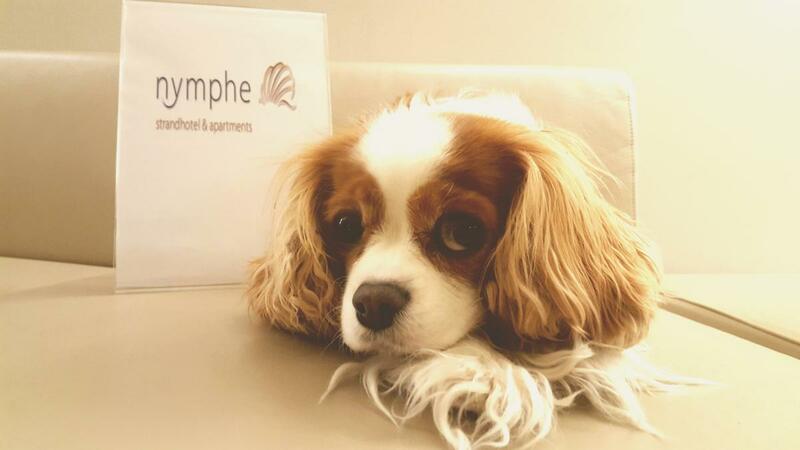 Your dog is welcome in the room with a welcome pack (from 2 nights) and after an extensive nap in the dog basket (with blanket, towel & bowl), he can also serve breakfast and dinner in our restaurant "caprice " and in our bar " sea lounge ".